Empowered leaders, inspired by the Gospel, transforming the world. To educate hearts and minds in a dynamic, inclusive Catholic school community rooted in the Holy Cross tradition. Bishop McNamara High School, a Catholic, Holy Cross, coeducational, college preparatory, liberal arts school provides wide ranging and evolving curricular and co-curricular activities for students to learn and practice the Catholic faith in an inclusive and dynamic school community. The School integrates this faith message, rooted in the Holy Cross tradition, within all its activities by relating the Gospel to content areas, by the living example of its employees, by partnership with families, and by service to the wider world. Ultimately, the school challenges its students to think with Christ - a thought animated by the Gospel, manifested in service and informed by academic excellence. Bishop McNamara High School is sponsored by the Brothers of Holy Cross, Moreau Province, who are members of the Congregation of Holy Cross, an association of Catholic religious brothers and priests who lead extraordinary lives by bringing hope to others. Founded by Blessed Basile Moreau on March 1, 1837, in a small village outside of Le Mans, France, the mission of the Congregation is to make God known, loved, and served. Fr. Moreau brought together a group of brothers, auxiliary priests, and for a period of time, sisters, compromising one holy family in imitation of the Holy Family. He believed that the work that God had entrusted to Holy Cross extended beyond the borders of France to the rest of the world. 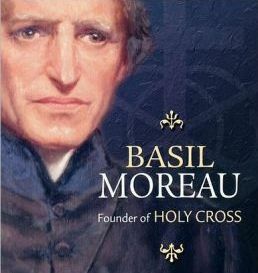 Within a few short years of founding Holy Cross, Moreau sent his priests, brothers, and sisters from France to many destinations around the world. Bishop McNamara High School, built adjacent to Mount Calvary Catholic Church in Forestville, Maryland, thrives today as a result of Monsignor Peter Paul Rakowski’s vision to build Catholic high schools, one for boys and one for girls, in southern Prince George’s County. Make haste, therefore; take up this work of the resurrection, never forgetting that the particular goal of your institution is, above all, to sanctify youth. Two years earlier, Cardinal O’Boyle asked the Bernardine Franciscan Sisters, a Catholic women’s religious order founded in the latter part of the nineteenth century who answer God’s call by following in the footsteps of Francis and Clare of Assisi, to administer and staff a high school for girls in the same area. La Reine High School, established in nearby Suitland, Maryland, was the result of this inspiring call to action and the School opened its doors in 1960 admitting 130 freshman girls, adding a class each year.